Based on blockchain technology, Bitcoin is a digital currency that helps in making transactions in between two parties with no involvement of third party. The process of Bitcoin mining involves confirming a set of transactions to successfully place a valid block on the public distributed ledger. Owing to the distributed and decentralized public ledger, Blockchain is a secured system. Therefore, if talking technically, it is Bitcoin, Ethereum, Bitcoin Cash, Ripple, Litecoin, Monero, Zcash, Dash, and other cryptocurrencies can’t be corrupted. While, here comes cryptocurrency mining pools. 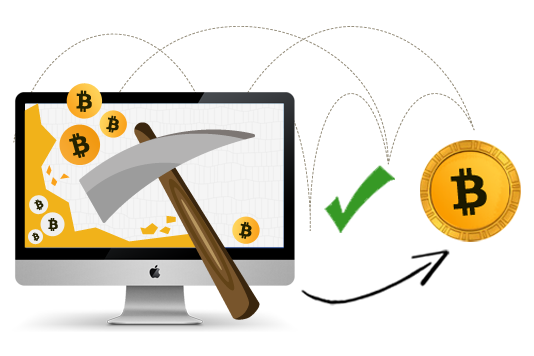 There are plenty of Bitcoin mining pools in the market from which you can choose and avail mining services accordingly. The largest concentration of mining pools are in China. As Bitcoin has blockchain as its underlying technology, therefore, in order to add transactions to Bitcoin network, user or miner has to place a new block on the blockchain. Miner helps in creating a block. Through a mathematical code, known as ‘hash function’, he/she verifies or confirms the transactions in order to place a block. Each block possesses the previous block’s hash and it is almost not possible to go back to search a transaction through hash. This only follows one way. Due to this, Blockchain is believed to be the most secured system as of now. The major contribution to Bitcoin mining is making use of computing power in order to find a good hash. Post a hash is found, a new block is placed on the blockchain. Initially, Bitcoin mining was done at home by using regular computers. However, with the time, the Bitcoin Company has made it much difficult for miners to find hash functions and mine Bitcoin. Due to this reason, people work together in the mining pools and increase the computing power to mine Bitcoins efficiently. Where most of the mining pools are located? Around 80 percent of mining pools are situated in China. Many of these mining pools provide Chinese support and websites. For Bitcoin, the concentration of mining pool might become a big issue. This concentration is going on Blockchain principles like distributed, public, and decentralized. Why Mining Pool Concentration has a trust and security issue? If the person possesses half of computing power, he/she can authenticate the transactions and control the network. Even using a same bitcoin several times might be possible. In such scenario, the system might become untrustworthy and corrupted. Although, four largest mining pools of China possess over half of the worldwide mining power of Bitcoin. Therefore, in case if there is an alliance in between the above-listed four mining companies, then it will be difficult for a country to alter Blockchain Transaction system’s trust. Based in Czech Republic, Slush Pool was the very first Bitcoin mining pool. And Georgia-based Bitfury is the affordable mining pool that charges zero fees. All-in-all, Bitcoin is facing a systematic situation through mining pools concentration.